The music never stops, no matter who’s calling. 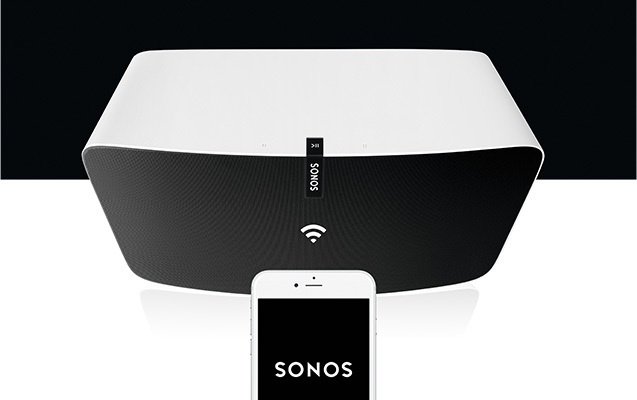 With Sonos, your music streams via rock solid WiFi instead of Bluetooth. So you never miss a beat. If the music’s only in one room, it’s not a house party. 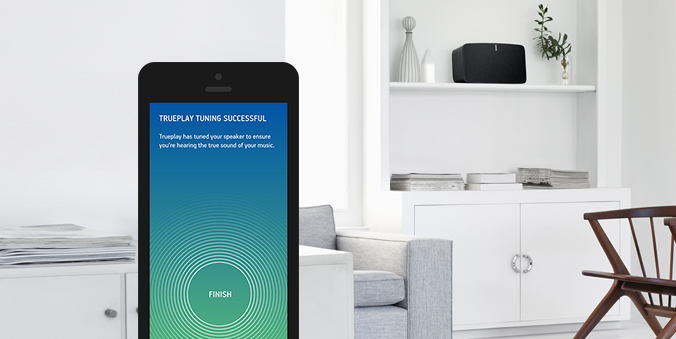 Play different tunes in different rooms at the same time. Or share one song, in perfect sync, all through the house. Trueplay measures the acoustics in any room–analyzing things like size, layout and furnishings. 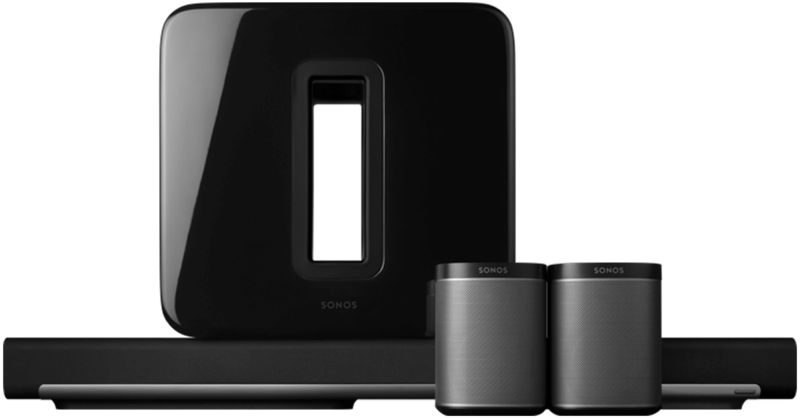 Then fine-tunes your Sonos speaker to make sure the music sounds great, no matter where you place your speaker. 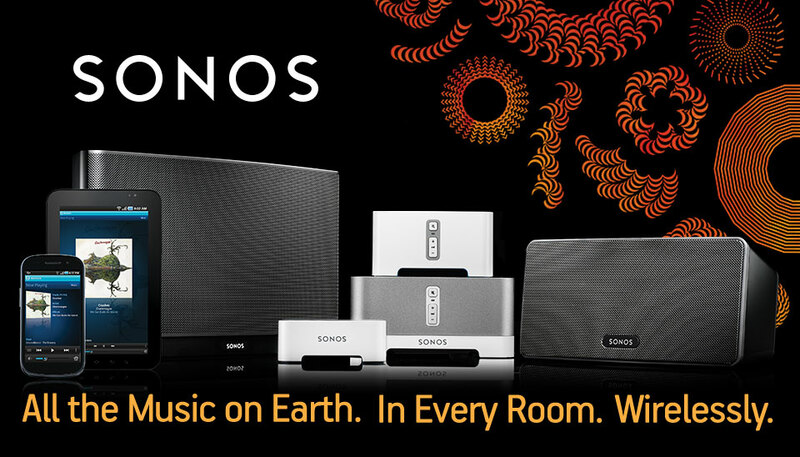 * For your Sonos PLAY:1, PLAY:3 and PLAY:5. Works with iPhone and iPad only. Connects to your TV via single optical cable. Control PLAYBAR volume and mute using your existing remote. Add a pair of PLAY:1 or PLAY:3 speakers to your PLAYBAR and SUB for a true surround sound experience that plunges you deeply into the cinematic and gaming action on your screen. 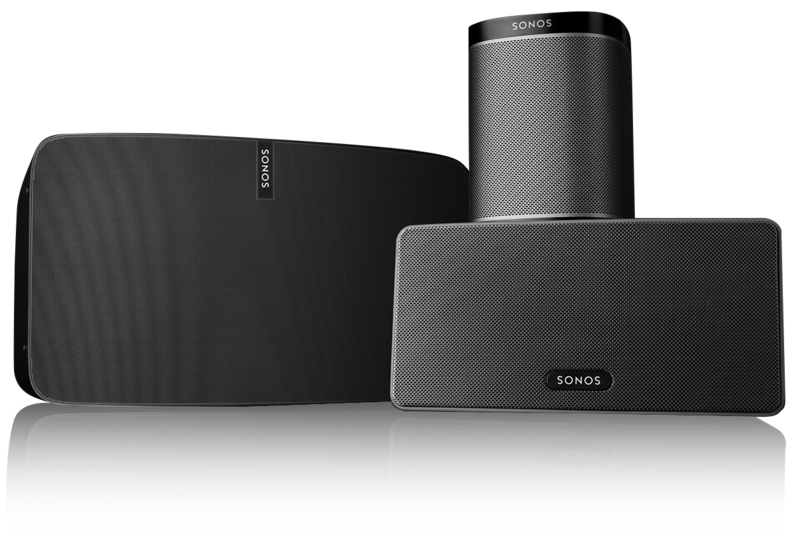 Sleek and understated with wireless control, this deeply immersive home theater experience wraps you in crystal-clear, state-of-the-art Sonos sound.